What is Casino Life Poker app? Casino and gambling is an exciting way of entertainment and earning money worldwide. But if you are not an expert at gambling and want to learn to play without risking your money then you must try out Casino life poker app which is available for Android, iOS as well as Facebook. 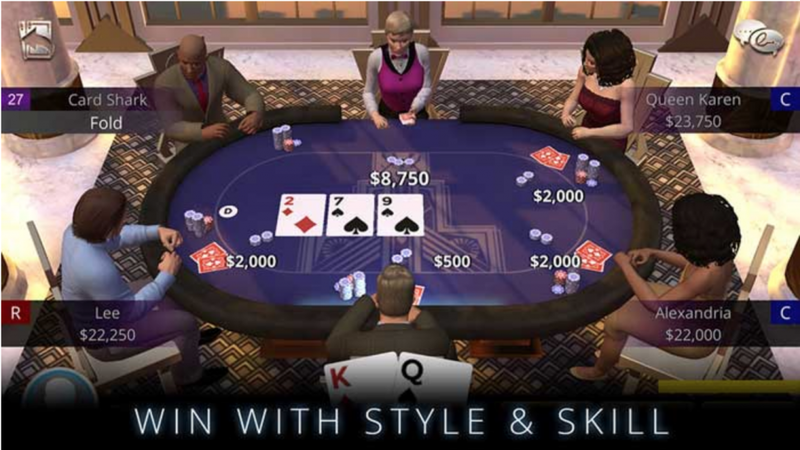 This casino mobile app offers several free poker game and 3D social poker games too. The best part of this adult game is that it does not involve any real money transactions although there are in-app purchases in the game. This makes it super easy and entertaining for beginners to learn and explore the work of poker without risking money. The app offers real-time free poker game experience without the need to spend a single penny. Texas Holdem is a popular gambling game on mobile apps and websites. There are few rules and terms that you must be aware of before starting to play this exciting game. Let us get acquainted with these terms and rules of the game. The game consists of Pocket queens which are the easiest and prettiest poker hands for the beginners. These are also considered as the third highest starting hands and hence these should be used and played with respect. The best tip to play the Texas poker is to raise only after proper analysis so that you do not lose your queens. One must not get overwhelmed with the cards he has and must weigh his position and then decide to raise or not. If you are in a good in-position then you can raise pre-flop. If you choose to raise when out of position then it can lead to a re-raise and at that time it can be aces or kings. If your opponent chooses aggressive poker strategy and does a raise then you will surely lose your queens. So try to avoid these situations. Even if you are playing against tight players or expert players it does not matter at all. The best strategy is to never limp in with the queens that you have. It can lead you to a lot of trouble. Although limping in with the queens can lead to a big hand, it is a very vulnerable situation which can lead to an overcard on the flop. If you choose to limp in then you must get a raise and in that raise, you must get the chasers out of the way. Else you can incur losses. Texas Holdem is an exciting game available for free on casino life poker app and you can get a high win with the help of pocket queens in this game. With correct strategy and rules, you can surely earn a lot in this game.